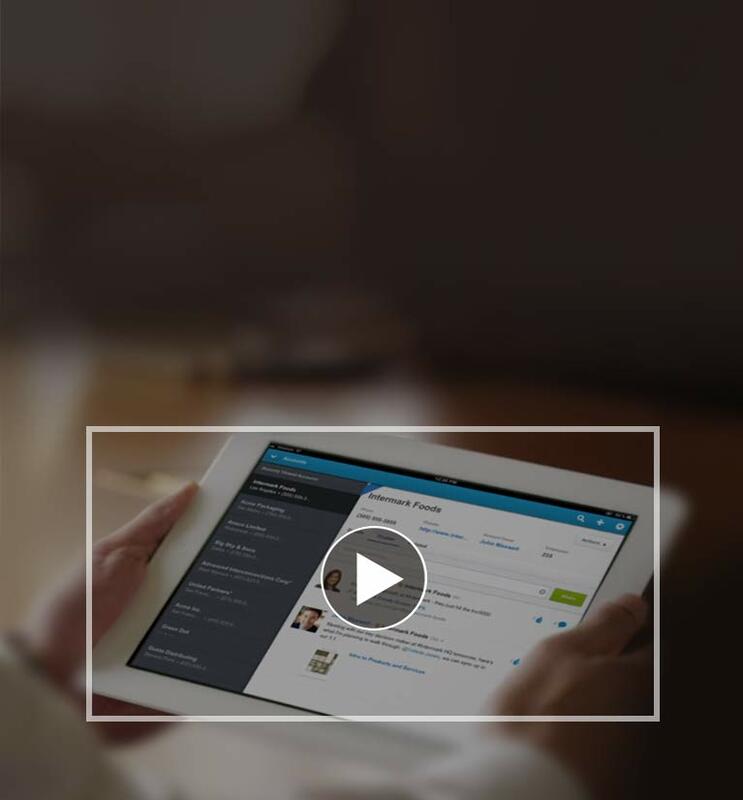 Find out why over 150,000 customers grow faster with Salesforce CRM. Salesforce.com provides business software applications as a pay-as-you-go service over the internet. Our customer relationship management (CRM) solution gives you an instant connection to your sales team and visibility into your leads, contacts, account, activities and the ability to drive sales revenue from anywhere, anytime. You don't need to spend money on servers or data centers to be successful with CRM. Once you sign up, you are ready to go. Focus on closing deals and delivering a quality service - not IT infrastructure. Sign up and watch our free demos. One CRM Solution to Sell from Anywhere. Anytime. No more digging through various spreadsheets, emails, and databases. Everything you and your team needs to be successful is stored in one place and accessible from anywhere. You can log calls, respond to hot leads, progress and collaborate on sales opportunities, review real-time dashboards - on your mobile, at your desk, at home. Anywhere. Sales: Close Bigger Deals. More Often. All the details for your sales deals are instantly available in one place - stage, status, products, competition, quotes & more. Automate alerts, approvals & proactive updates. Shorten the sales cycle by understanding what is impacting your progress and stay connected to experts to get the information you need to close every sale. Leverage the collective expertise & knowledge of your employees to close sales and service opportunities, faster than ever before. Bring deeper insight into every interaction with your customers. Resolve queries at the first opportunity and provide leading customer service every time via phone, email, web, social and chat. Marketing: Track Performance. Every Lead. Every Conversion. Capture phone, email, social and Web leads—all inside Salesforce CRM—and send them automatically to the right person for follow up. Make smarter decisions about where to invest your marketing funds. Dashboards show the impact of your marketing activities on your bottom line, giving a real-time picture of your business. Complete CRM for any size team.